Manchester’s Camp Digital conference brings together communities of digital, design and user experience to explore and inspire new thinking. This years event had a great line-up of speakers who shared their experience and passion about making purposeful change. Camp Digital partnered with #upfront, an organisation founded by Lauren Currie dedicated to making the world more confident. I somehow found myself on the sofa sharing her stage at the event! I feel somewhat daunted by the idea of presenting in front of hundreds of people, so I thought the concept of #upfront was a great push into conquering some fears and assumptions. We also got a massive round of applause! It was inspiring to see Emer Coleman, from Co-op Digital, whose current mission is to help build an open community of digital businesses built on the co-operative values. She shared why her move to the Co-op was value-driven, and how they are facilitating better futures for people victim to modern slavery (read about it here). At Common Good, working with companies that are and want to make real difference to the world is a core part of our business model, and something that influences our everyday decision-making. I’m always inspired by others doing the same. Another speaker at the conference was Alastair Somerville, Sensory Design Consultant, who facilitates workshops on sensory and emotional design. He explored what it means to be able to design for awe, wonder and transcendence. Transcendent experience being “those interstitial moments, the gaps between things,” it is in the, not making decisions, or not choosing to act, that needs investigation. 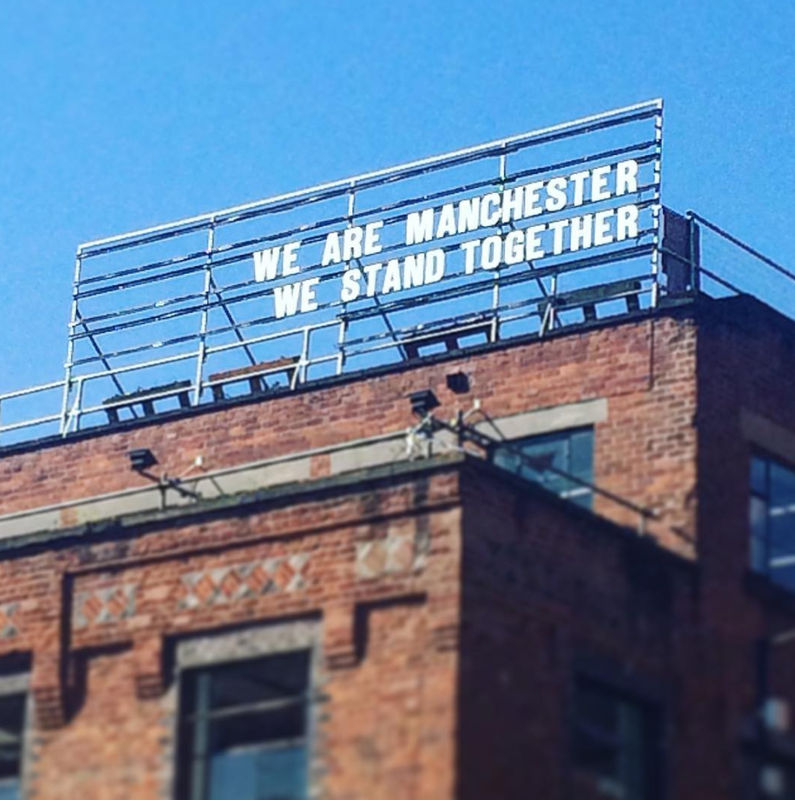 In light of recent the recent tragedy in Manchester, Camp Digital did a good job of inspiring and uniting another community within the heart of the city.